Are you a confident vocalist and want to share your skills and experience? Reliable, friendly and outgoing? Attentive, enthusiastic, loving singing? Willing to learn and follow our exclusive syllabus? 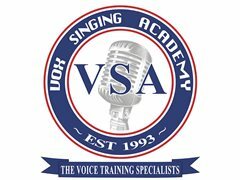 Free intensive training provided to the right person, with potential to work one to five days a week in VSA studios all over Melbourne and online. We are looking for teachers to teach ASAP at all of our studios but especially at the Dandenong, Bayswater or Carnegie studio. Applicant must be well presented and mannered. Must possess basic piano playing skills. Must have a working with children's check. Must have a very good vocal range to be able to teach both males and females. Must be over the age of 27. Must have a burning desire to be the best singing teacher and best human being possible to join our highly motivated team of talent who all strive to be the best in Australia! If you have other skills we are looking to put those to work for VOX as well, e.g. Marketing, innovative,SEO, blog writing, podcasting, you tube marketing videos, social media, administration, Quality control, advertising, management.